SACRAMENTO — The Sacramento Sports Hall of Fame has announced that Tommy Kono will be one of its inductees for 2019. Kono is one of Sacramento’s most accomplished athletes of all time. He went to Sacramento High School and Sacramento City College and became one of the best weightlifters and strongest men in the world. During the 1950s and 1960s, he was the only Olympic weightlifter in history to have set world records in four different weight classes (lightweight, middleweight, light-heavyweight and middle-heavyweight). He was a gold medalist at both the 1952 and 1956 Summer Olympics and a silver medalist at the 1960 Games. 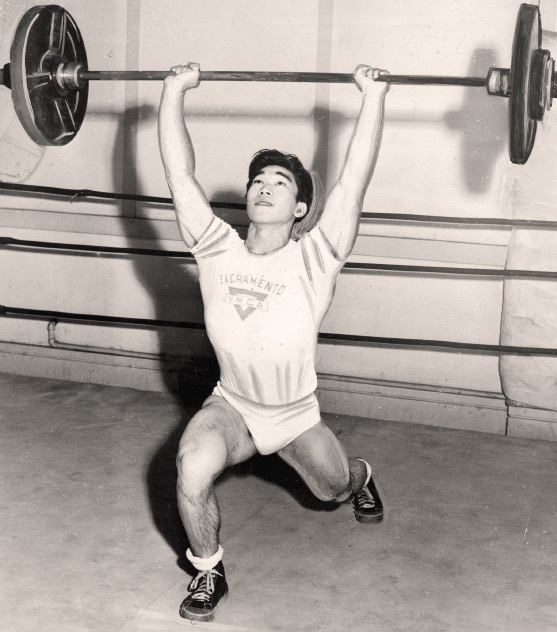 He won the World Weightlifting Championships six consecutive times from 1953 to 1959. He set a total of 26 world records and seven Olympic records. Kono was also a world-class bodybuilder, winning Mr. Universe titles in 1954, 1955, 1957 and 1961. After his retirement, he turned to coaching, guiding the Mexican weightlifting team in the 1968 Summer Olympics and West German team in the 1972 Summer Games before becoming head coach of the U.S. Olympic weightlifting team at the 1976 Summer Olympics in Montreal. Overall, Kono won 14 international medals, including eight gold. Along with his weightlifting and bodybuilding titles, he was an eight-time Amateur Athletic Union James E. Sullivan Award finalist, an award given annually to the top American amateur athlete. In 2002, Kono was inducted into the Japanese Sports Hall of Fame in San Francisco along with Ann Kiyomura Hayashi (tennis), Kristi Yamaguchi (figure skating), Wally Yonamine (football and baseball) and Wat Misaka (basketball). Kono passed away in 2016 at the age of 85. The other inductees are Major League Baseball players Chris Bosio and Geoff Jenkins, and professional football players Lance Briggs and Aaron Garcia.